Tommy Hilfiger Gray & White Pinstripe Classic Soft Jersey Pillowcases, Pkg of 2, 20" x 30". Turquoise Chevron with white background. Textile Material: 100% Cotton. Care and Cleaning: Machine wash & Tumble dry. Thread Count: Non-woven Fabric. Includes: 2 Pillowcases, 1 Flat Sheet, 1 Fitted Sheet. Made of high-strength modal fibers, the lightweight silk-like pillowcases provide incomparable comfort, reminiscent of your favorite T-shirt. Color: Fuchsia. Size - Standard / Queen. 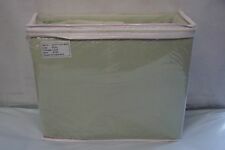 This sale is for a new Full Sheet Set - Sage - Jersey Style - SKU# 4X7777 GSG 0010; RN# 87198. Includes: 1 Twin XL Fitted Sheet - Fits mattresses 39” x 80”, 15” deep. 1 Twin XL Flat Sheet (66” x 96”) - Fits mattresses 39” x 80” 1 Standard Pillowcase (20” x 30”) - Fits pillows 20” x 26” All are 80% cotton / 20% polyester; machine washable The items in this listing have been accurately described and photographed - photos in this listing are the actual items you are purchasing. Please ensure you understand what you are purchasing and ask questions prior to buying. 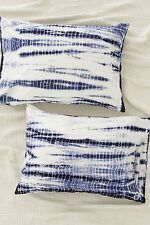 Urban Outfitters Shibori Streak Jersey Pillowcase Set. Sold Out at Urban Outfitters. Standard Size Jersey Pillowcases. Set of 2 Standard Pillowcases. This sale is for a new Full Sheet Set - Natural - Jersey Style - SKU# 4X7777 NNT 0010; RN# 87198. Pure Beech. Set of 2 Standard Pillowcases. 100% Modal. Jersey Knit. NEW - (King) Room Essentials Jersey Pillowcase Set. Soft Jersey T-Shirt Knit. RE Room Essentials Style. Jersey Knit T Shirt soft. 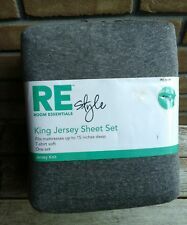 King Jersey Sheet Set. 2 King Pillowcases 21" × 41". 1 Flat Sheet 108" × 106". 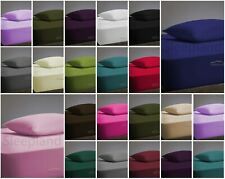 1 Fitted Sheet 78" × 80" × 13". Set Includes. Dreamaker quilt cover set is made from beautiful fine Egyptian cotton in a luxurious sateen weave construction. With a 250 thread count. Printed Egyptian Cotton Quilt Cover Set (Jersey) - Single. Colour Jersey. ~~~These sheets are made of 100% cotton and are super soft. They fit a mattress as deep as 15" deep. The set contains one fitted sheet, one flat sheet, and two standard pillow cases. Machine wash and dry. NEW - (King) Room Essentials Easy Care Pillowcase Set. Care and Cleaning: machine wash, tumble dry. Solid Gray. NEW - (Standard) Room Essentials Jersey Pillowcase Set. Soft Jersey T-Shirt Knit. 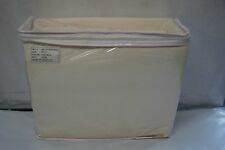 NEW - (Standard) Room Essentials Jersey Pillowcase Set. Gray Stripe. Soft Jersey T-Shirt Knit. 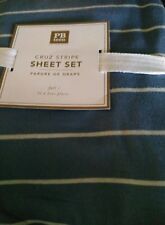 Pottery Barn Teen Tonal Stripe Favorite Tee Bed Dorm Sheets XL Twin Black Gray. Condition is New with tags. Shipped with USPS Priority Mail. NEW - (King) Room Essentials Jersey Pillowcase Set. Gray Chevron. King Pillow Size. Soft Jersey T-Shirt Knit. Tommy Hilfiger TH Classic Soft Jersey Sheet Set - For Extra-Long Twin Bed - Color Solid Gray. Pillowcase 20 X 30. Fitted Sheet - 39 X 80. Flat Sheet 66 X 102. MATERIAL: 51% COTTON, 49% Modal. Machine Washable. COLOR: White. Extra Soft Heather Jersey Knit Pillowcases Wouldn't you love to fall asleep on a pillow that feels like your favorite t-shirt?. Our extra soft and cozy jersey knit pillowcases are just what you need! Red/maroon in color. Extra soft, breathable fabric. T Shirt soft! 1 Bedskirt. Pure Beech. 100% Modal. One Standard Pillowcase (20" x 30"). Jersey Knit. One Fitted Sheet (Fits mattress 40" x 80"). One Flat Sheet (68" x 104"). Fits mattress up to 17" deep. Size Twin XL. Fits Dorm Beds. Color White. Machine Washable. Contains 1 Flat Sheet (60 in. x 104 in. )., 1 Fitted Sheet (39 in. x 83 in,) and 1 Standard/queen Pillowcase (21 in. ). Manufacturer Gotcha Covered. The polyurethane is a breathable material that allows the throw to stay cool and flexible. Polyurethane between a plush panel/jersey panel. We take pride in making sure your order gets out quickly. Wash with similar colours. Cold machine wash inside out. Do not soak. Do not Wring. Do not Bleach. Line dry only. Do not tumble dry. Warm iron if required. 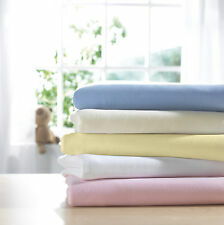 Refresh your sheets and bedroom with this softest jersey knit complete sheet set. Tailored from a cotton rich blend that is breathable, durable and easy to care for, this striped pattern set is a simple and classic design that is easy to mix and match with your favorite duvet covers and quilts. 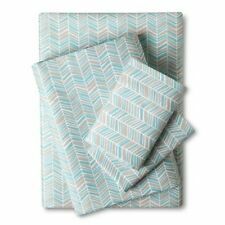 Urban Habitat Space Dyed Knit Sheet Set Blue Full New. Condition is New with tags. Shipped with USPS Priority Mail. 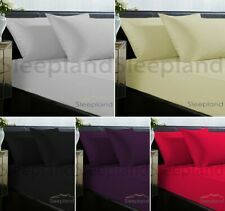 Description: The Urban Habitat Space Dyed Cotton Jersey Knit Sheet Set updates your bed with a relaxed and casual style. The space dyed hues of the 100% cotton jersey knit create a chic look with the softness of your favorite tee. Machine washable and durable, this jersey knit sheet set is incredibly soft and perfect for year round use. The fitted sheet fits up to 16" mattress. Set includes: 1 fitted sheet, 1 flat sheet, and 1 pillowcase. Refresh your sheets and bedroom with this softest jersey complete Full Size sheet set. As smooth and as comfortable as your very favorite T-shirt, your bed will be irresistibly cozy. -this set is tailored to fit a full / double size bed. Missing retail packaging. Nice, soft feel. Slip into an indulgently soft bed that's as comfy as your favorite worn-in tee with the Mainstays Jersey Sheet Set. These versatile bed sheets are available in multiple sizes and an array of bright colors and fun prints to fit any style.